Battles between Crown and Parliament would continue throughout the 17th and 18th centuries, but parliament was no longer subservient to the English monarchy. This change was symbolised in the execution of Charles I in January 1649. It is somewhat ironic that this event was not instigated by the elected representatives of the realm. 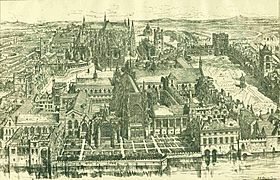 In Pride's Purge of December 1648, the New Model Army (which by then had emerged as the leading force in the parliamentary alliance) purged Parliament of members that did not support them. The remaining "Rump Parliament", as it was later referred to by critics, enacted legislation to put the king on trial for treason. This trial, the outcome of which was a foregone conclusion, led to the execution of the king and the start of an 11-year republic. 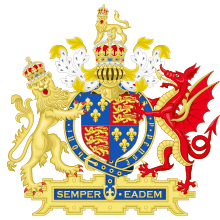 The House of Lords was abolished and the purged House of Commons governed England until April 1653, when army chief Oliver Cromwell dissolved it following disagreements over religious policy and how to carry out elections to parliament. Cromwell later convened a parliament of religious radicals in 1653, commonly known as Barebone's Parliament, followed by the unicameral First Protectorate Parliament that sat from September 1654 to January 1655 and the Second Protectorate Parliament that sat in two sessions between 1656 and 1658, the first session was unicameral and the second session was bicameral. Parliament of England Facts for Kids. Kiddle Encyclopedia.